“Those who sing pray twice.” So said 5thcentury bishop St. Augustine. We are encouraged in Colossians to “let the word of Christ dwell in you richly in all wisdom; teaching and admonishing one another in psalms, hymns and spiritual songs, singing with grace in your hearts to the Lord.”We at Mt. Lebanon United Lutheran Church do a great deal of singing in worship and we do believe it to be another form of prayer. Our fine Rufatti pipe organ leads us in worship and the musical organizations of which we are proud complement that leadership. The Chancel Choir is open to adults (from high school and beyond) and rehearses on Wednesday evenings from 7:40-9:00. They sing at the 10:00 liturgy weekly and for both liturgies on Festival Sundays. The Handbell Choir invites those with music reading ability to ring. The Bell Choir rehearses on Wednesday evenings from 6:30-7:30 and plays monthly in worship. Children in church school receive instruction twice monthly with Dr. Kimberly Steinhaur, and play a role in worship liturgy several times per season. A yearly Christmas pageant showcases their instrumental talents during the Prelude. Guest instrumentalists, often from the Pittsburgh Symphony Orchestra enhance our worship life frequently throughout the year. If you have musical gifts that you would share by participating in Mt. 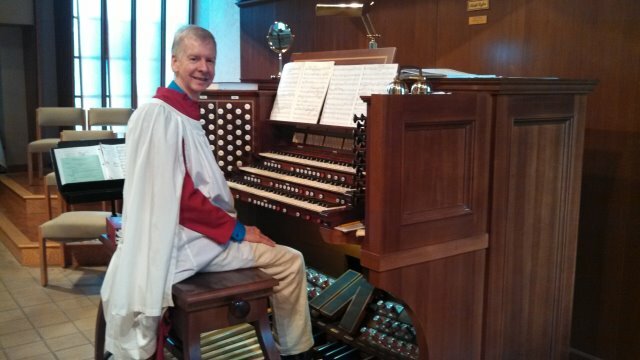 Lebanon Lutheran’s music Ministry, kindly contact Larry Allen, Director of Music and Organist.